The other week I planted out our potatoes on the allotment, and this year to get them in dead straight rows I ran some twine between pegs at either end and used a tape measure to space the holes and rows out evenly. Hopefully this means that as the plants come up they’ll be in perfectly aligned rows, and will impress our fellow plot holders! It’s nice to have things neat and tidy, especially on our allotment – sadly this is less often the case! "Roman roads are famously dead straight..."
I read a fascinating book recently about the Iron Age map of Europe – essentially the druidic cultures of that time created a sophisticated road network using solar alignments, pre-dating the Roman roads, and in many cases literally forming the literal foundation to later Roman infrastructure. Roman roads are famously dead straight, as were the druidic solar roads, and this is certainly true when plotted on a large scale map. But on the ground even Roman roads deviated like a lazy sine wave around local obstructions and features – never more than a few hundred metres or so, but minor deviations from “true”. So often with the alignment of our life we can find ourselves thinking in straight lines. Perhaps our subconscious desire is for our lives to be orderly and linear, like my row of potatoes or a Roman road. As we all discover, however, our paths are rarely straight and circumstances in all shapes and forms conspire to knock us off course. "So often with the alignment of our life we can find ourselves thinking in straight lines"
In my Civil Engineering degree and in the early years of my career I spent time learning about road design. With highway design you think in terms of straight lines and curves - normally the curves are transitions between one straight line and another. 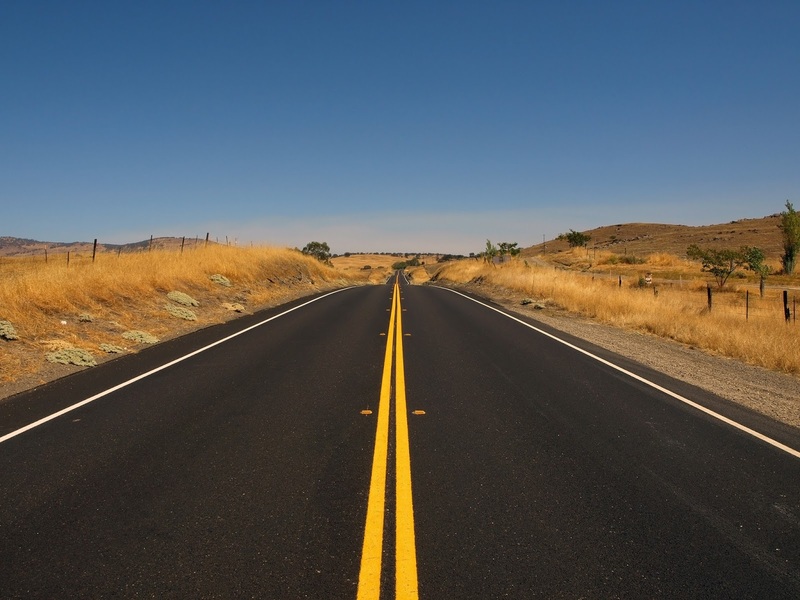 The radius of the curve depends on the design speed so for faster roads the curves need to be wider. In fact, the best road alignments are marked by the most appropriate curves to fit the terrain - side to side in profile and up and down in long-section. The most efficient designs have just enough curvature to enable a smooth journey whilst minimising costly earthworks. The same principles apply to buried drainage systems, borrowing another analogy from the world of civil engineering. The best systems have all the incoming branches suitably angled for smooth flow - all aligned in the same direction as travel. Turning to the environment, the natural alignment of rivers and watercourses is invariably not straight. Yes, in their higher reaches they may be straighter, but a healthy river has wide meanders as it moves downstream. No matter how much we try to artificially straighten and contain them, rivers have a knack of bursting their banks and finding their natural alignment again. 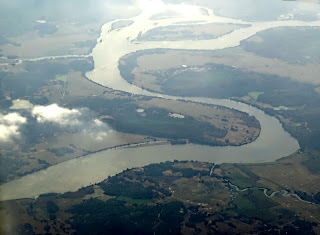 In fact, the meanders help slow the flow, create floodplains and generally result in a richer ecosystem. So apart from planting our potatoes or travelling along Roman roads, maybe it's time to ditch our straight-line thinking and surrender to transitions, curves and meanders. Like rivers our natural alignment is more of a meander, and maybe now's the time to allow your banks to burst in a few places to find that width again. "maybe it's time to ditch our straight-line thinking and surrender to transitions, curves and meanders." Thanks for taking the time to read Alignment. If you've enjoyed it please share it with your friends on social media! Why not subscribe to The Potting Shed Podcast on iTunes for the audio version and much more (direct RSS feed is here).